Unknown to many investors, we have already had the “Trump Crash”. On election night, once it became likely that Mr. Trump would be our next President, Dow futures (an indication of market direction for the following day) began dropping precipitously. By the time I gave in and headed for bed, around 12:30 A M, the DOW was down over 800 points or pushing a 5% loss. The indication was that between the market close on Tuesday and the market open on Wednesday we would start the day with a 5% loss. Since these things tend to snowball there was every reason to believe that Wednesday would be ugly. I didn’t get a lot of sleep the rest of the night! However, within minutes of the market open the market indices all turned positive and what followed was a solid three day “Trump Rally”. So now with both the positive and negative over-reactions in the rear view mirror, what should we expect from here? The Wednesday night crash that wasn’t, is just typical knee jerk reaction. The worrisome part is really that it did not carry over to Wednesday trading day. The market moves so quickly due to the computer trading, the shear speed can be unsettling. The rally we’ve seen has been a “short covering” rally. In English, those that bet on a negative market can lose a lot of money when the market goes up. To close or exit those bets, the investor must actually buy the security(s) that they have been betting against. This causes a sharp short term rally. Thus the three day post election rally. The last few days the market has been flat to slightly positive. This is due mostly to a rotation of money out of sectors that are believed to benefit least from Trump’s Presidency into those likely to benefit the most. The trouble with buying into this rally is again the fast movement of the markets. For example the banking sector has risen over 10% in just a few days. The question is whether there is more room to run in the near term. 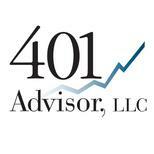 At 401 Advisor, LLC we are taking small steps to allocate or re-allocate portfolios. My goal is to be patient and look for values when they appear. Many technology names have been beaten up and may present new buying opportunities if this rotation continues.